It’s no secret Tesla is putting the finishing touches to its upcoming pickup truck. We’ve seen a number of renderings of what this Tesla truck could look like when it debuts sometime later this year, but the EV carmaker has done a good job of keeping the design under lock and key. And now that the Model Y has premiered, Musk has clearly begun turning his attention to trucks. 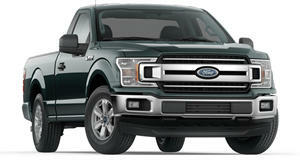 He’s even begun mocking established and highly respected full-size pickups like the Ram 1500 on Twitter. 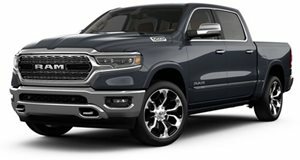 Case in point: a Ram 1500 owner asked Musk on Twitter if he "would still be physically fatigued if you tried to haul 12,000 lbs of steel beams like I do every day with my Dodge Ram, 2019s motor trend truck of the year.” Musk’s reply: "12,000 lbs!? How puny. Do you construct children’s toys?” That's fighting talk if ever we heard it. Musk is not only smack talking the Ram 1500 but also its owner. At the same time, he has set high standards for his upcoming EV pickup. What we do know is that it’ll feature all-wheel-drive and a dual-motor with "crazy torque & and a suspension that dynamically adjusts for load. Those will be standard,” Musk stated in a previous tweet. An all-electric pickup truck, as Tesla clearly understands, will be met with widespread skepticism amongst truck folk. Tesla had no choice but to go above and beyond what a typical full-size truck is capable of regarding power, towing, and payload. Rivian is already proving this is possible with its recently revealed RT1. Ford is currently testing an all-electric F-150 and GM is also jumping on board. 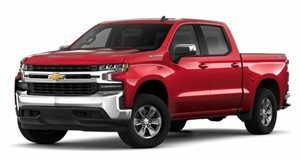 The mainstream automakers understand full electrification is not only possible with pickups, but it could actually make them even better. Musk understood that years ago and we’ll see his vision in the flesh in the very near future. One of its likely capabilities: the ability to haul more than 12,000 pounds.